SureCall, the cell phone signal booster leader in combining high quality technology with innovative design, announced today it is shipping the EZ 4G, the first cell phone signal booster that boosts signal for all major carriers and doesn’t require an outdoor antenna. The SureCall EZ 4G boosts indoor cell signal for all major carriers and has a simple plug and play set up that doesn’t require an outdoor antenna. The plug and play EZ 4G ($399 MSRP) is the first cell signal booster that does not require the installation of an outdoor antenna, making it a simple DIY solution to poor indoor signal. 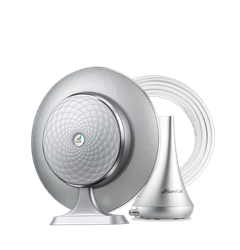 The EZ 4G boosts all major carriers’ signals to significantly reduce missed and dropped calls and improve cellular data performance inside a home or office. The EZ 4G is available immediately at the following etailers: Amazon.com, SolidSignal, Ubersignal, Repeaterstore, WPSantennas and the 3Gstore. SureCall, the cell phone signal booster leader in combining high quality technology with innovative designs, produces award-winning boosters that dramatically improve cell phone reception for homes, cars and businesses. With customers including Marriott, Chrysler, Hewlett-Packard and ExxonMobil, as well as other major institutions, such as NASA, Stanford, Duke and Wake Forest Universities, SureCall continues to develop industry-leading boosters that address the changing needs of all types of cellular and mobile broadband users. Awards include 2015 CE Pro BEST Award, 2015 EXC!TE Award by Technology Integrator, 2014 Best Commercial Integrator and Best Technology Integrator and 2015 Best Commercial Integrator. These awards recognize the impact SureCall products have on the industry in terms of the installers' productivity, the dealers' profitability, the clients' satisfaction and the industry's vitality. SureCall's line of FCC-approved boosters for personal, commercial and industrial use, increase the range and reception of almost any cellular call and/or data transmission. Founded in 2001, SureCall is an industry leader with multiple patents on their superior signal booster technology. For more information, visit http://www.surecall.com.